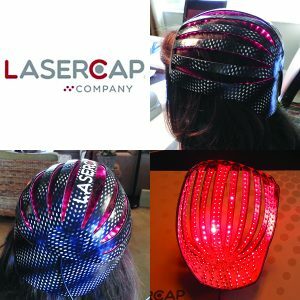 LaserCap® Company has been the preeminent company for at home low level laser therapy (LLLT) devices for over 10 years. All LaserCap® Company devices, including the MC2™, come with their exclusive Lifetime Warranty Policy and 12-month money back guarantee. Low level laser therapy (LLLT) has been found to be one of the most effective treatments for female hair loss. Studies have shown that 95% of patients that follow the treatment protocol receive benefit. If you think low level laser therapy (LLLT) or the MC2™ may be right for you contact our office to learn more.